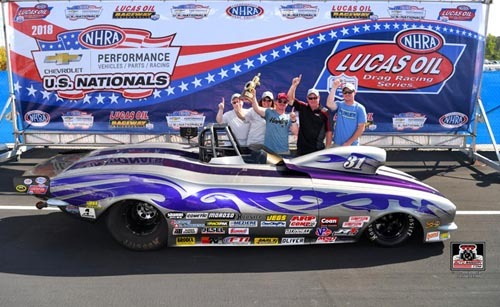 LAS VEGAS - Justin Lamb, Devin Isenhower, Brian McClanahan, Paul Nero and Ronnie Proctor all clinched NHRA Lucas Oil Drag Racing Series World Championships this weekend at the NHRA Pacific Division Lucas Oil Series event at The Strip at Las Vegas Motor Speedway. 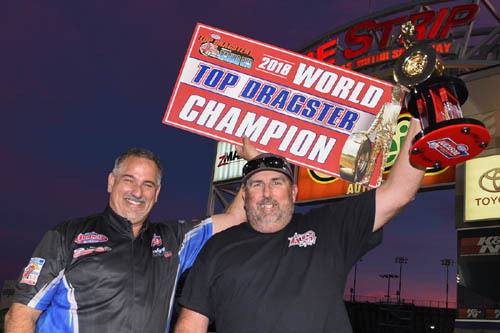 Lamb worked his way through eliminations while the other contenders dropped out one by one securing Lamb's fifth NHRA Lucas Oil World Championship. 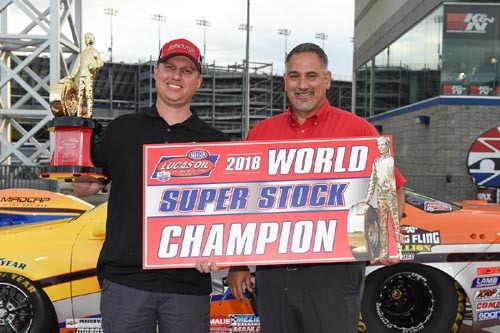 Lamb won his first back in 2013 in Stock, Super Stock in 2015 and both Stock and Super Stock in 2017. 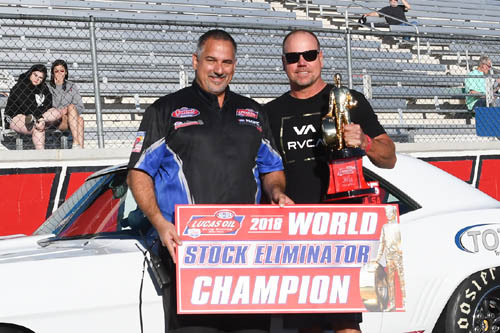 Lamb collected six wins in seven final rounds in Super Stock this year and was also contending for the Stock championship as well until this weekend. Devin Isenhower celebrates Indy win. 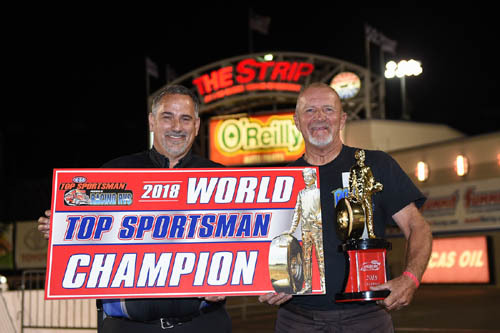 McClanahan now joins his dad Jerry and his son Ryan for three generations of NHRA Lucas Oil World Champions. Jerry won the NHRA Stock Championship in '73, '74 and '78 and Ryan took the honors in 2010 in Super Stock.